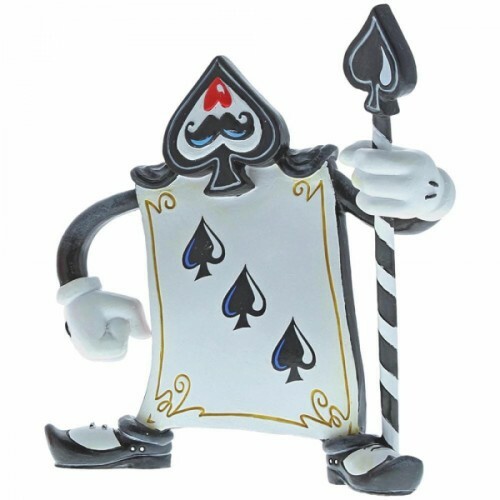 The Queen's Cards from Walt Disney's "Alice in Wonderland" are ready to fight. Waiting for the Queen of Hearts' call, the Three of Spades card stands tall. Unique variations should be expected as this product is hand painted. Packed in a branded gift box. Not a toy or children's product. Intended for adults only. Approx 13cm H x 5cm W x 12cm D.